Insurance strategies are a reflection of you and your goals. Through our relationship with Valmark Securities, Inc., we bring the leading insurance carriers and products available in the marketplace to meet your insurance goals. In order to best serve our client’s needs, we remain fiercely independent and pride ourselves on designing customized insurance strategies for our clients. 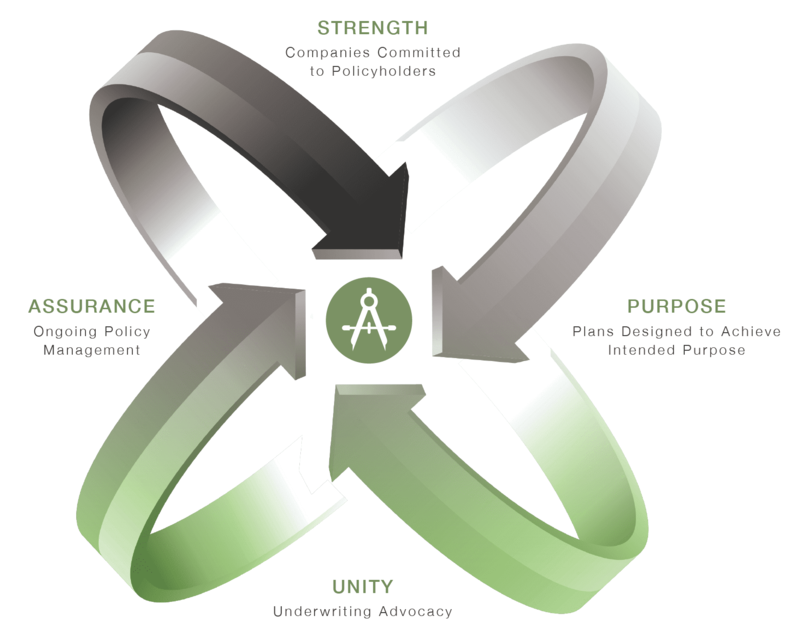 Simply said, we are your advocates and work for you, not for an insurance carrier or producer group. With many of our clients also being business owners, we understand teamwork and will coordinate and collaborate with your estate-planning attorney, banker, and/or accountant to provide life insurance and disability insurance strategies for buy-sell agreements, key-person needs, and business continuation planning. For larger companies, we are recognized as Western North Carolina’s leader in Executive Benefit planning including Non-Qualified Deferred Compensation planning. Over the last two decades we have developed a niche in supporting both corporate and individual trustees in the on-going management and monitoring of trust-owned life insurance. Our goal is to reduce risk for Trustees while working to maximize benefits for Grantors, Trust Beneficiaries, Trustees, and Advisors. We have the tools, systems, and technology to support you. Recognized nationwide for our expertise in this area, we have clients in over half of the United States. We implement life insurance solutions using our Life Assurance 360™ process. Life Assurance 360™ is a goals-based process for designing, implementing, and managing life insurance. The process educates individuals about the trade-offs of life insurance throughout the case design process, provides private underwriting services, and creates a plan for ongoing management. Learn more here. For our larger cases, we don’t start with a formal application directly to an insurance carrier. We create a competitive “bid” process through the industry-leading Private Underwriting Rating Evaluation (PURE Process™). With insurance pricing state-regulated, our competitive advantage is in obtaining the most favorable medical underwriting classification and matching it with an individually-tailored insurance plan design and a strong insurance carrier we feel can meet its long-term promises. This book, by G. Tate Groome, is an easy read, at only about 100 pages. It is a beautifully written manuscript that takes a very niche, but important, subject, and weaves in a human element. It is deeply relatable to people of affluence and to Trustees serving protecting their client's wealth & legacy. 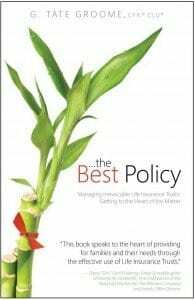 To purchase your copy or read the first chapter of …the Best Policy, please visit www.TateGroome.com. Fee-based planning and third-party money management offered through Colton Groome Financial Advisors, LLC, an SEC Registered Investment Advisor. Securities offered through Valmark Securities, Inc. Member FINRA, SIPC, 130 Springside Drive, Suite 300, Akron, Ohio 44333-2431, 1-800-765-5201. Colton Groome & Company, Colton Groome Financial Advisors, LLC., are separate entities from Valmark Securities, Inc. Colton Groome & Company is a separate entity from Retirement Plan Advisory Group.